Automatic extension deadline for employers and health care providers to provide Forms 1095-B and 1095-C to individuals. •	2017 calendar-year S corporation income tax returns are due. •	2017 partnership returns are due. •	Deadline for calendar-year corporations to elect S corporation status for 2018. •	There is an eligibility phaseout for Section 179 that ensures it's only used by small businesses, but that was also raised to $2.5 million (from $2 million) by the new law. If you spend more than $2.5 million on business property in total during the year, your ability to use the $1 million Section 179 deduction is reduced dollar-for-dollar above that amount. •	Section 179 deductions can be used on both new and used equipment. •	You can now use Section 179 on property used to furnish lodging or in connection with furnishing lodging (such as rental real estate). It also includes improvements to nonresidential real estate assets such as roofs, heating and air conditioning, and alarm systems. •	Bonus depreciation is typically used on short-lived capital investments (with a 20-year or less useful life) such as machinery, equipment and software. •	Bonus depreciation had been only for purchases of new equipment, but can now be applied to used equipment as long as you place it into service at your business during the tax year. •	The allowable bonus depreciation starts to decline after 2022. It falls to 80 percent in 2023, 60 percent in 2024, 40 percent in 2025 and 20 percent in 2026. Remember, though tax reform gives you expanded tools to accelerate depreciation, it may not benefit you to use them in every case. 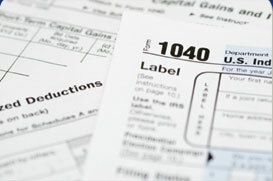 Sometimes it's better to use the standard capitalization and depreciation tax treatment. These tax benefits do not change the amount a capital purchase can be expensed - only the timing. Calculating whether your business will benefit from these revamped expensing tools can get complicated, contact us if you need assistance. Working with family can be a pleasure. It can also be a pain, especially if you have to terminate a family member's employment. Here are tips to help you ease the strain of mixing your family and employee relationships. Hire for the right reasons. Make your hiring and firing decisions based on the skill sets needed to keep your business operating effectively. Hiring your son because he's struggling to find a job is not a good business reason for bringing staff on board. Set clear expectations. Communicate the job's performance requirements to your family member right from the start. Clearly define company policies for promotion, compensation and termination. Make it plain that unethical conduct will not be tolerated. Document performance. Throughout your family member's tenure, maintain a detailed personnel file that tracks behavior resulting in disciplinary actions. In the unfortunate case of a necessary firing, a well-documented file will provide a narrative record that lays out your reasons and clearly communicates the evidence leading to your decision. Business stops. It may be convenient to stop at a business client's office on the way to work or going home. In this case, you can deduct the cost of the commute between the client's location and your regular place of business. Multiple business locations. Maybe you work for a company with separate branch offices or other business sites. If you drive between two or more business locations during the course of the day, the cost of the travel is deductible. Long-distance travel. Normally, you may commute to a nearby workplace. But you might have to go to a distant business location for a few days, weeks or even months on occasion. As a result, you don't go to your regular job site. The IRS allows you to deduct daily travel costs of this long-distance commute. Temporary assignments. Finally, you might be required to work at a far-flung business location for a long stretch. To accommodate this work, you might stay near the job site in a hotel and return home on weekends. If the assignment lasts less than one year, you may deduct your meals and lodging expenses (subject to certain limits). Best of all, you can usually deduct the cost of your weekend trips home. If you pay the commuting costs yourself, they are deducted as miscellaneous expenses on your personal return. The deduction for all miscellaneous expenses, including unreimbursed employee business expenses, is limited to the excess above 2 percent of your adjusted gross income (AGI). There are also potential commuter benefits available through your employer. Contact us if you have questions about deducting your commuting expenses.